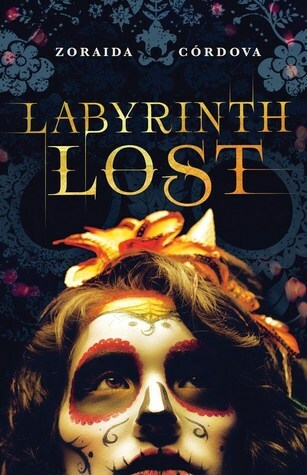 Labyrinth Lost is basically the love child of The Mortal Instruments (which I adore) and Alice In Wonderland. Filled with shenanigans that would make Loki proud. A delicious balancing act of the good and the not so good, leaving you with awesome in the end. SISTERS RULE! Seriously. Siblings are a huge thing in this book and it’s amazing. All of the relationships are complex, realistic, and wonderfully fleshed out – just like the characters. Family is basically the main plot. Just… yeah. Beware of how utterly consuming and addictive this book is. It will take over your life and you will love it. The ending is ridiculous and crazy and it will drive you mad with need for the sequel. It’s painful in the perfect way. If you noticed, there isn’t a “Things I did not like section”. That is because Labyrinth Lost is one of those books where the amazing outshines the little things that I would normally nitpick. It was fun, entertaining, unique, evocative, and everything that it needed to be. I can honestly tell you that Labyrinth Lost is now officially one of my favorite books about witches (which I usually avoid like the plague, so that’s saying something). I can’t wait to dive head first into the next adventure in Los Lagos.